I help clients eliminate debt and get a fresh start. Specifically, I help clients discharge unsecured debt in chapter 7 bankruptcy and consolidate debt in chapter 13 bankruptcy. If you need to eliminate debt and get a fresh start I encourage you to call my office at (916) 596-1018 from 8 AM to 6 PM for your free consultation. I start by explaining how your property and debts will be treated in bankruptcy. During your free consultation I will learn more about your income, debts and assets. Once I have a clear picture of your financial situation I will tell you whether bankruptcy is your best option. Bankruptcy is not appropriate for everyone, and I may advise you to pursue other debt relief options. However, if bankruptcy is your best option I will explain which debts can be eliminated or reduced. Once I have answered your questions I will quote my fee for taking your case. If you want to move forward with bankruptcy I can often make progress on your case that same day. 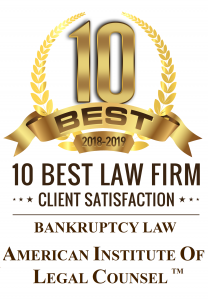 Everyone considering bankruptcy in Sacramento asks “how much does a Sacramento bankruptcy attorney cost?” The short answer is that bankruptcy attorney fees vary based on the attorney and case. To make your cost more predictable I charge flat fees. I generally charge $900 for simple chapter 7 cases exclusive of court filing fees. Bankruptcy is not an automatic process. To file your bankruptcy petition I need some information and documents. Specifically, I need to learn more about your recent transactions and income. To gather this necessary information I will speak with you over the phone and review your pay stubs, bank statements and tax returns. From there I will prepare your bankruptcy petition, statements and schedules. That is impossible to answer without first conducting an initial consultation. To help you get an answer to that question I offer a free consultation. We can have this consultation over the phone or in my office as soon as possible. To receive your free consultation call me at (916) 596-1018. Sacramento Law Group does more than fill out bankruptcy petitions for our clients. Our bankruptcy lawyer takes it upon himself to educate clients throughout the bankruptcy process. When clients have questions, our bankruptcy lawyer gives answers. We know that this is a difficult time for you, and we don’t compound your stress by keeping you in the dark. Our bankruptcy lawyer will return your phone calls in a timely fashion and educate you on the fundamentals of bankruptcy law. The automatic stay in bankruptcy is a powerful tool. As soon as your bankruptcy petition is filed with the court an automatic injunction against collection efforts comes into effect. This automatic injunction is called the automatic stay as it “stays” most types of collection efforts. For example, the automatic stay will stop your wage garnishment, repossession, foreclosure or bank levy. If you are tired of creditors calling you and need to protect your income from garnishment or property from repossession filing bankruptcy can help. Chapter 7 bankruptcy is known as the liquidation bankruptcy, but as we will explain that title is misleading. 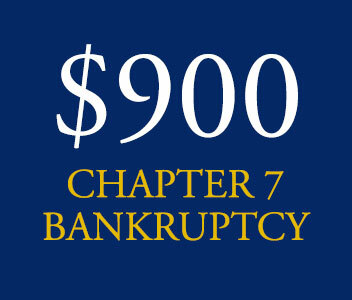 The reason why chapter 7 bankruptcy is called the “liquidation” bankruptcy is because non-exempt assets can be sold in chapter 7 bankruptcy with the proceeds from the sale given to creditors. After this liquidation has occurred you typically receive a discharge of your unsecured debts within a matter of months. However, in most chapter 7 bankruptcy cases the petitioner’s assets are entirely exempt, meaning that non-exempt assets do not exist; to which, there is nothing for the Trustee to sell. Chapter 13 Bankruptcy is the consolidation and repayment form of bankruptcy. In chapter 13 bankruptcy you repay all or a portion of your debts over 3 to 5 years. The amount you will have to repay will depend upon your disposable income, value of assets, and debts. Many times we can propose a plan that repays less than 100% of your debts, and which allows you to discharge the remaining unsecured debts as soon as you finish all of your chapter 13 plan payments. Chapter 13 bankruptcy has some advantages over chapter 7. In chapter 13 bankruptcy you can often keep all of your property, whereas in chapter 7 bankruptcy your non-exempt property can be sold by the Trustee. Furthermore, in chapter 13 bankruptcy you can eliminate a second mortgage where the value of the house is less than the amount you owe on the first mortgage. This ability to eliminate (or “strip off”) a second mortgage can save chapter 13 clients tens of thousands of dollars. We mentioned that certain assets are “exempt” under California law and therefore not subject to sale in chapter 7 bankruptcy, but we didn’t mention how those assets are classified as “exempt.” California has two exemption schemes contained in the California Code of Civil Procedure. Under Section 704 (often known as the homestead exemption scheme) many categories of assets, including a home, are exempt up to certain amounts. Under Section 703 (often known as the wildcard exemption scheme) fewer specific categories of property are exempt but you get a “wildcard” amount to apply to any property in bankruptcy. In California bankruptcy you will have to choose either the homestead or wildcard exemption scheme; you cannot use both. In general, if you own a home with equity you will most likely choose the homestead exemption scheme. Likewise, if you do not own a home you will probably use the wildcard exemption scheme. Bankruptcy attorneys can tell you which exemption scheme will best protect your property a-fter a free consultation. Bankruptcy attorney Adam Garcia practices consumer bankruptcy law in Sacramento. As a consumer bankruptcy lawyer Mr. Garcia helps individuals in severe debt achieve debt relief in bankruptcy. Most of Mr. Garcia’s clients file for chapter 7 bankruptcy due to their low income and high credit card, medical, or other unsecured debts. Some of Mr. Garcia’s clients file for chapter 13 bankruptcy due to higher income that makes them ineligible for chapter 7 bankruptcy. Adam Garcia graduated with a B.A. from the University of California, Berkeley and a J.D. from the University of Arizona, College of Law. Before becoming a bankruptcy lawyer in Sacramento CA, Mr. Garcia served as an extern in U.S. Bankruptcy Court where he worked inside judicial chambers. Furthermore, before beginning his practice as a Sacramento bankruptcy lawyer Mr. Garcia worked for a large consumer bankruptcy firm in Arizona. Finally, after working within the bankruptcy court and for a prominent consumer bankruptcy firm, Mr. Garcia relocated to Sacramento to practice consumer bankruptcy law. Today Mr. Garcia represents residents in Northern California, including clients in Roseville, Placerville, Elk Grove and Santa Rosa. To learn more about Adam Garcia visit his attorney page or contact him at (916) 596-1018 for a free consultation.